​At its height, My Son was the cultural and religious center of the Cham Empire. My Son means Beautiful Mountain, a favourite of the Cham Kings as they can easily defend it given the mountains that surround the valley. Some of these temple ruins must have been burial places of the Cham kings. 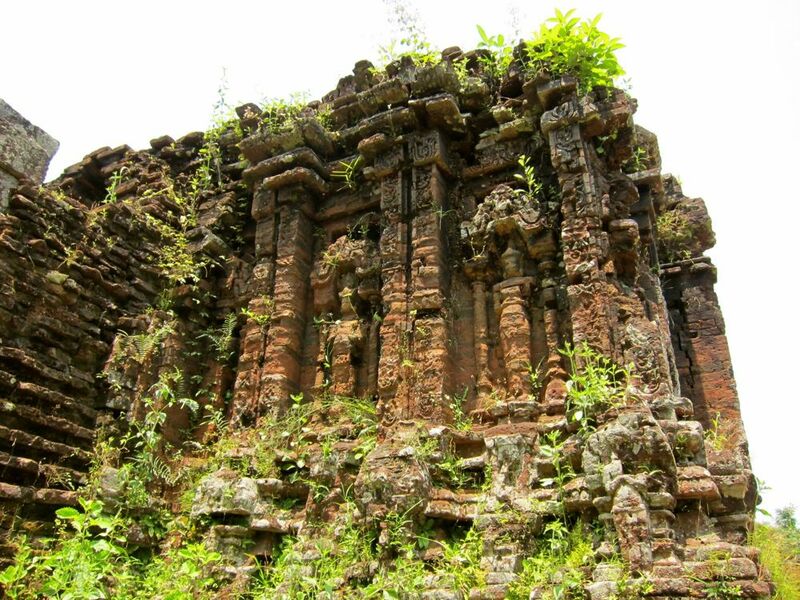 Designated as a UNESCO heritage site, these My Son temples were built around the 4th -14th century. These are the most extensive remains of the Cham Empire. Where once stood around 68 structures only 20 are now standing after a heavy bombing during the Vietnam War. 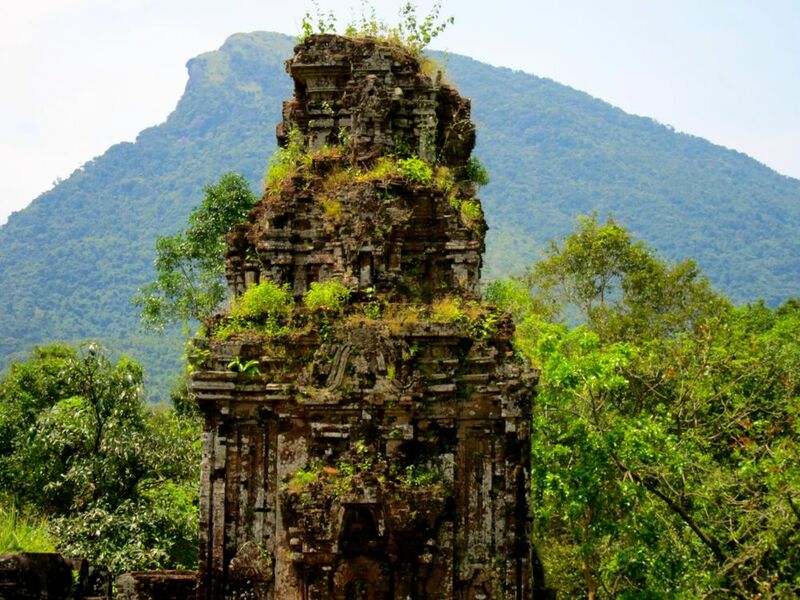 The ruins are set in a jungle valley that reminds one of areas where young Vietnamese and Americans must have battled in a war that most want to forget. You will be better off going to this place early before the tourists claim the presence of the gods. Go early from Hoi An or Da Nang so you are able to enjoy nature as the sun rises in the hillside. Where is My Son Located? Located in Duy Phu Commune in the district of Duy Xuyen, province of Quang Nam, My Son is easily visited when you are in Hoi An, or Danang. Just rent a taxi through your hotel to bring you there. Let the taxi wait as it might be difficult to get one going back. There are tours, of course, which you can easily arrange with your hotel. How Was My Son Discovered? My Son was first discovered by the French in the 19th century and they set about restoring the place. However, American bombing later devastated the area and only few structures remain. 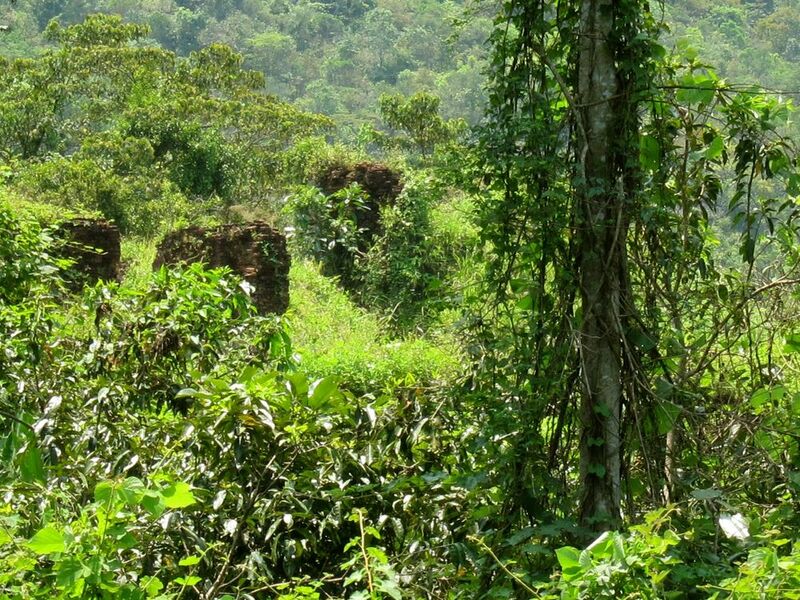 ​Because of its World Heritage Site status, restoration is now going on. 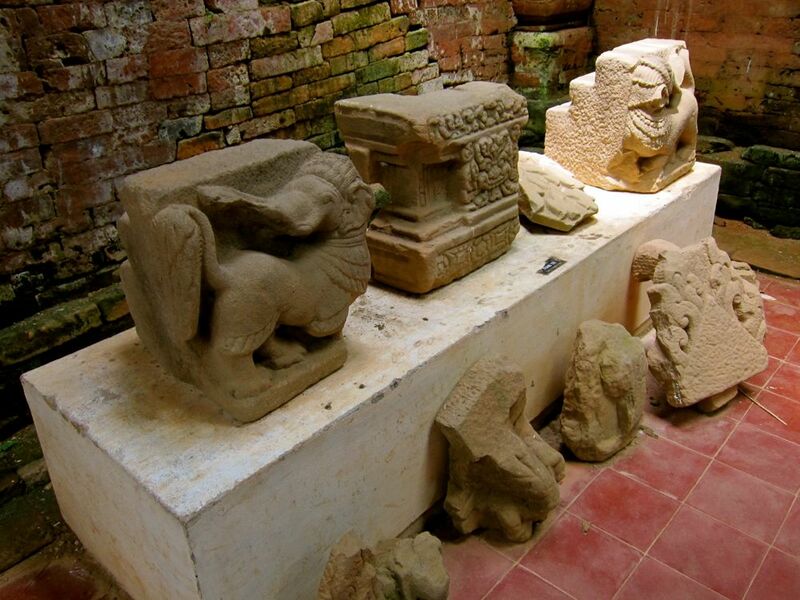 The French also moved some of the artefacts to the Museum of Cham Culture in Da Nang. So, if this is of particular interest, visit this museum. My Son became an important religious centre under King Bhadravarman in the late 4th century. Shiva, regarded as the founder and protector of the Champa dynasties is at the center of worship here. ​It has been said that at the height of the Cham power, the summits of the temples were layered in gold but these have been stripped since by various invaders. Many Chams still live in Vietnam today, mostly in the Mekong tributaries, and have preserved some of their unique cultural heritage. Why is My Son Important in History? 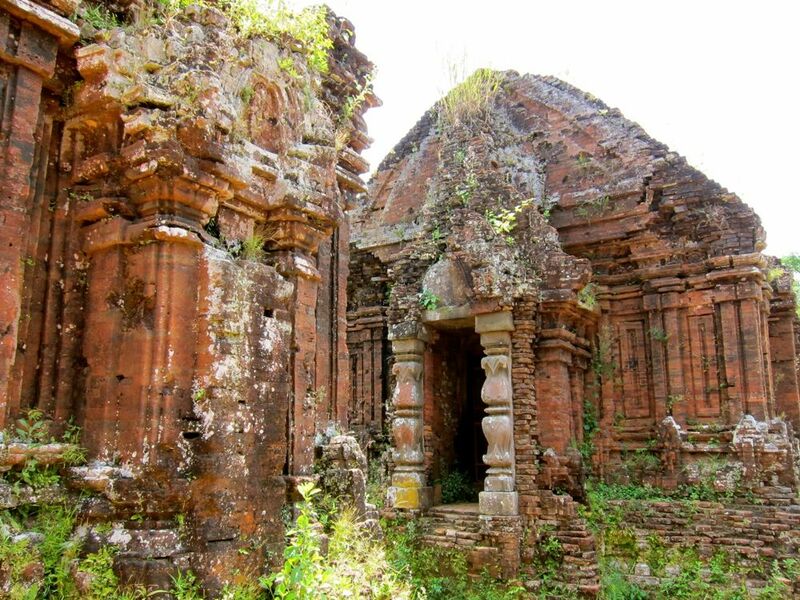 The Champa Kingdom became a power around the area of present day Da Nang and flourished around the 2nd to the 15th century. Through trading interaction with the Indians, Hinduism and Sanskrit came to be practiced in the kingdom. The Chams who are more at home in the sea than in the land, attacked many passing ships but they were also constantly attacked by the Vietnamese to the north and the Khmers to the southwest. They successfully threw off the Khmer but were later assimilated by Vietnam in the 17th century. 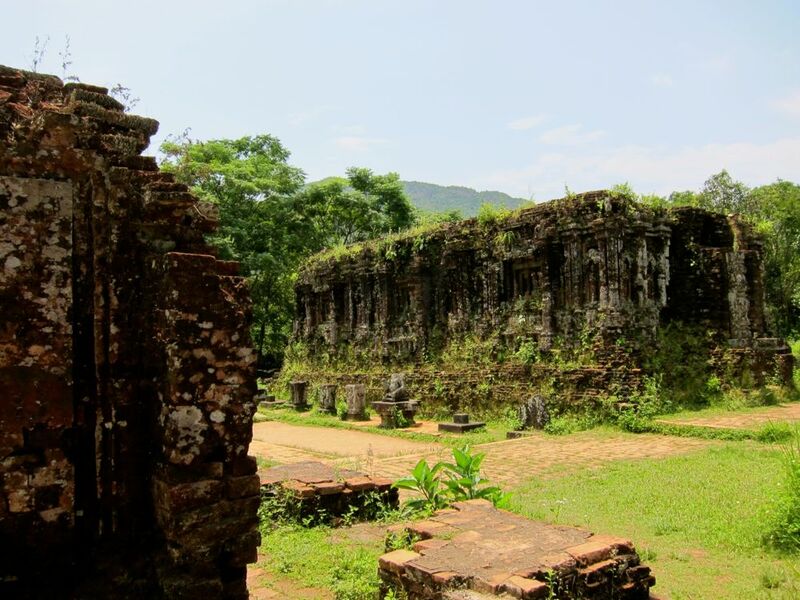 ​The Chams are best known for their brick work and according to some legends, they used a botanical oil native only to central Vietnam to put the bricks together. The Cham techniques can still be seen today in pottery, fishing, sugar production, silk making, rice farming, irrigation and of course, construction. Around 100,000 of them still live in Vietnam today mostly around Phan Rang. A boat trip through the Cham area is one interesting part you can add to your itinerary. The map that the My Son Sanctuary gives as you enter the place shows the monuments in letters so get this map when you pay the fee to enter. The Exhibition building shows Sanskrit inscribed stones and include information on Cham culture even the early hairstyles of Cham women. 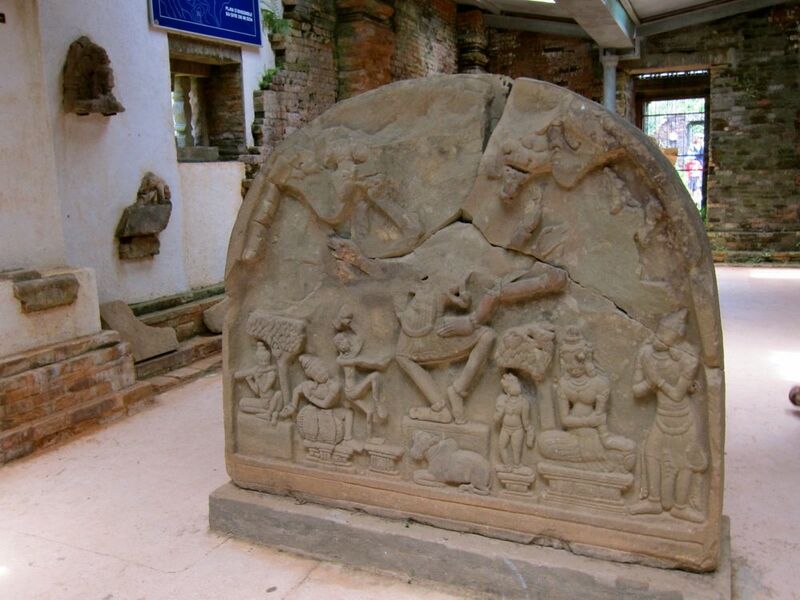 It is interesting to note the Hindu influence on the early Cham culture in Vietnam. Similar influences are also seen in Cambodia. ​The A group had been mostly destroyed by US bombing and locals still talk of the most important My Son monument, the A1, which remained according to them impervious to aerial bombing for some time that a helicopter-borne sapper team was sent to finish it off so all you could see today is a pile of brick walls. But from these, you still can see the Cham quality brick work. A1 was the only monument with 2 doors, one facing east towards the Hindu gods and the other towards the spirits of the Cham ancestors buried in the monuments seen from the door. ​B1 is the main sanctuary dedicated to Bhadesvara. Esvara refers to Shiva and Bhad is short for Bhadesvara, the Cham king who built My Son. 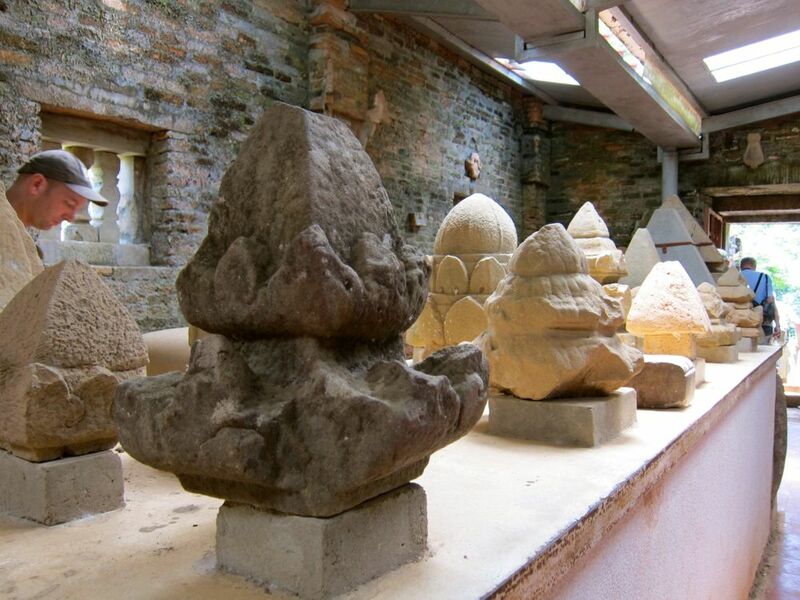 Although first built in the 4th century, what remains here today is the 11th century base. The linga in this monument was discovered only in the 1985 excavation. This sanctuary has no windows thus, the niches on the wall to hold the lamps. Close by is B5, built in the 10th century and used for storing sacred books and objects used in the sanctuary. Looks like the Cham masonry inside is original. In B4, is a brick bas relief of two elephants shading under the tree where two birds are resting. B4's exterior walls are ornamented with decorative style unique to the Cham culture. Another example of Cham style is the bath-shaped basin in B6 said to store the sacred water used in ceremonies. B7-13 are small temples dedicated to the gods of directions. 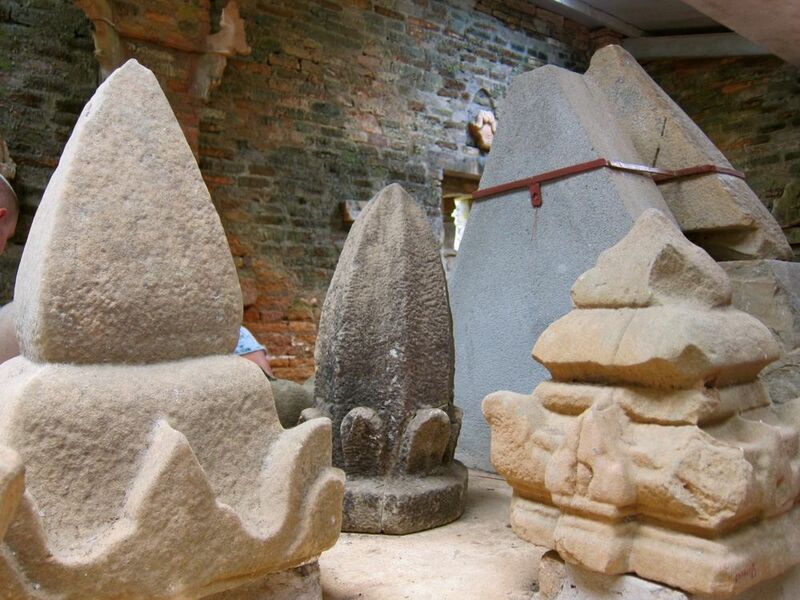 The C1 monument built in in the 8th century was used to worship Shiva but the statue of Shiva has been moved to the Museum of Cham Culture in Da Nang. D1-D2 now housing the display on Cham culture were once meditation halls. My Son has opened a community tourism village near the heritage area. Home to about 200, the village offers home stay, eco-tours with local guides, authentic cuisine cooked by the locals as well as cultural performances. Tourists can also participate in community activities such as fishing, farming, boating, and biking. A rice growing area, the local families see in this an opportunity to augment their income. 40 households have taken part and 30 of these are from My Son hamlet. Participating in a training conducted by the International Labor Organization (ILO), the locals have now added to their farm income by being guides, cooking for tourists, providing homestay or renting bicycles. From earning about $5.7 a day, some of them can earn during the tourist season an extra $7 per hour for guiding tourists.